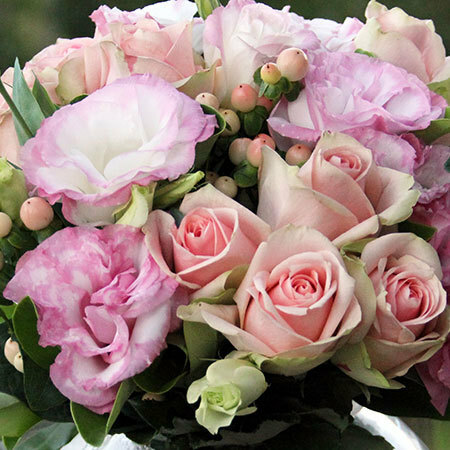 Our florists have designed a sweet pink Mothers Day flower arrangement in a fish bowl style vase, showcasing pale pink roses and soft lisianthus blooms. Offset with seasonal berries and lush green foliage, this feminine posy in a vase is the perfect gift for any occasion. Ordering is easy - simply order via our online florist shop or call toll free on 1800 66 66 46. *Please note: For flower deliveries outside Sydney, the team will coordinate your order via an affiliate florist network who will recreate this design, colouring and presentation as closely as possible. 2017-02-09 Great flowers. Excellent delivery service.